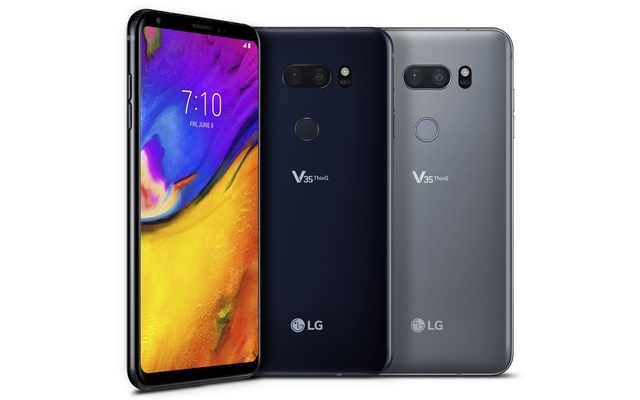 LG has launched the V35 ThinQ, a new flagship smartphone in the ‘V’ series which blends top of the line specs with some impressive multimedia and photography features, and thankfully, does not have a notch. The V35 ThinQ borrows design elements from the recently launched LG V30S ThinQ, but brings other upgrades in terms of the internal hardware and some AI based features baked into the smartphone’s UI which is based on Android 8.0 Oreo. The V35 ThinQ features a 6-inch FullVision OLED display with QHD+ (2880 x 1440) resolution, which is HDR 10-compliant and is protected by Gorilla Glass 5, and has an edge-to-edge design with sleek bezels for a premium look. The smartphone is IP68-rated for protection against dust and water, and has also passed 14 of the MIL-STD 810G tests designed by the US military to assess the performance of devices in extreme environments. The V35 ThinQ is powered by a Qualcomm Snapdragon 845 processor, paired with 6GB of RAM and up to 128GB of expandable storage. LG will launch two variants of the device – the V35 ThinQ will come with 64GB of internal storage, while the V35+ ThinQ will feature 128GB of internal storage which can be expanded up to 2TB via a microSD card. In the camera department, the device comes equipped with a 16MP Super Wide Angle (F1.9) camera paired with another 16MP sensor (F1.6) on the rear side, while an 8MP (F1.9) wide-angle lens is there to handle selfies. The device features an improved AI cam system which comes with 19 shooting modes, portrait mode capabilities in the front and rear sensors, Super Bright Camera mode to capture superior quality low-light shots as well as Live Photos and stickers for overlay effects with facial recognition to generate 2D and 3D images. The V35 ThinQ comes equipped with a 3,300 mAh battery and features a Hi-Fi Quad DAC as well as DTS:X 3D Surround Sound support to deliver an immersive multimedia experience. The new device comes in Aurora Black and Platinum Gray color options and will be available in the American countries in June, followed by a limited rollout in Asian, Middle Eastern and African nations. Pricing details have not been revealed yet.